There are several sites that sell car spare parts. 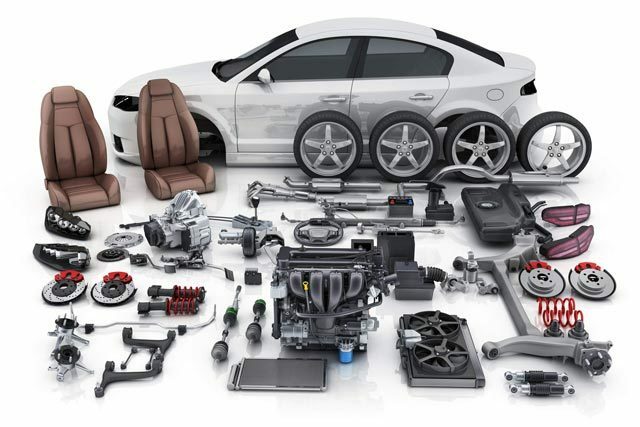 However, you need to understand certain aspects before you order spare parts for your car online. While the advantages of ordering items online are several, a customer also has certain liabilities or responsibilities when they opt to order for spare parts through online portals. Here are some main points to consider to ensure that you find a trusted site that will offer you authentic brands and products along with necessary warranty and support features. Before you choose a site it is crucial that you do research for the spare part you need for your car. For instance, the car spare parts that you are looking for would have a listed price in the showrooms in your location. Once you know that, compare the same with prices listed online. In general, parts that are sold at online stores are sent across from warehouses or distributor outlets. As a result, the prices are lower than what you would find at retail outlets. At the same time, you need to know the kind of forum you are looking for. There are choices beyond simply looking at brand new products online. For instance, there are forums where owners list their products for exchange or barter deals. In other cases, you can look at stores that specialize in second hand or refurbished products. There are online marketplaces that offer both choices as well. This should be the first criterion when you are comparing different sites for choosing car spare parts for purchase. Check the range of products that a site has to offer. The more the number of products offered in the category you are looking for, the more choices you have. Once you are aware of the prices of the part you want, compare between different online forums. In general, car spare parts being sold of a certain brand in a certain region or country would sell at similar prices online. The differentials would be factors like the price of shipping, delivery prices, discounts and special deals as applicable. For such differentials, you need to compare prices of similar brand products across different online outlets. When it comes to the price of shipping, if the site has a regional presence in your state or country, then it would charge lower as compared to ordering from an international store. Hence, before you decide to place an order, check the terms and conditions or delivery prices applicable. These will affect the final deliverable price of your product. Besides delivery prices, the other way that online prices differ at portals is special deals or discounts. Many e-commerce stores have special discount prices for first-time buyers. These are coupon codes or discounts that become applicable to the final checkout price. Such discounts can make a marked differential on your purchase price. This is another criterion that sets a site apart from others. You should be able to contact dealers about a product, get your queries answered, either through phone or through email or chat service. Transparency about dealers or suppliers is another factor that differentiates reliable sites from others. Price of products cannot be the only criterion to decide on an online store for purchasing parts for your car. Check for warranty terms and coverage, both of the product as well as policies of the website before you make a decision. Not only will a product have warranty coverage for exchange or refunds against manufacturing defects or other complaints, a website usually provides additional support terms to ensure that a customer is able to get the refund or exchange that he or she applies for. In most cases, the website would act as the facilitator for getting returns or exchanges for the customer. Hence, the trustworthiness of a site needs to be judged. Since car parts or accessories are usually expensive products that usually come with lifetime warranty coverage or coverage for several years, reliable websites ensure that manufacturers provide replacement or refunds in case customers have any complaints about their products and their performance. While all websites have extensive assurances advertised on their sites and in their terms, the actual experiences of other customers should be looked up. Most credible sites and online marketplaces like eBay or Amazon usually encourage customers to post their reviews. Checking the best reviews of customers is crucial before you place an order. These feedbacks help a customer to know what to expect from the product and any problems that they might face. This is another aspect to consider before you choose a site to make such purchases. For instance, spare parts of a car can come from different sources. In most portals, you will find first-hand parts while some have exchange forums to allow owners to advertise second-hand spare parts as well. You might want to research and understand the pros and cons of buying car parts as original products or second hand, refurbished deals. The decision would depend on your particular requirement, the intended use of the car part and other considerations. In some sites or large online marketplaces, you are likely to come across products of different categories. You can choose a first hand, second hand or refurbished products, each coming with warranty terms applicable. Once you have considered the factors above and are assured of the product range, competitive prices and warranty terms or support features, there are business directories where you can check unbiased reviews and ratings of the site. Most countries have business directories that provide ratings and reviews of sites of different categories for customers to review. There are international business directors and review forums as well as product category specific forums. Ensure that you check such listings to be assured of the authenticity and reliability of the site from where you wish to make a purchase.